Mountain Dog Media flipped Hot AC “K107.1” WFON Fond du Lac, WI to Country “107.1 The Bull” on Monday. The new format brings a locally originating competitor to Cumulus’ “Nash-FM 99.5” WPKR Omro, which targets the nearby Appleton market as a simulcast with 104.9 WPCK Denmark/Green Bay. WFON is owned by former Wisconsin State Senator Randy Hopper along with News/Talk 1450 KFIZ. 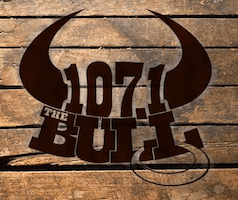 Fond du Lac’s New Country 107.1 The Bull launched at Noon on September 21, 2015, according to Randy Hopper, President of 107.1 The Bull’s parent company, Mountain Dog Media. Mountain Dog Media will now broadcast the nation’s two most popular radio formats: New Country on 107.1FM and News-Talk on AM 1450 KFIZ. “When you begin to listen for it, you will find country music everywhere: from movie soundtracks to television commercials, and now on 107.1 The Bull,” Hopper continued. The new format replaces K107.1 WFON, an adult Top 40 station featuring a variety of charting music. 107.1 The Bull will continue to carry coverage of Green Bay Packer games. Other key programs added include The Big Time With Whitney Allen Mon-Sat 7pm- Midnight; CMT After Midnight with Cody Alan Mon-Sun Midnight to 6am; The Hit List with Fitz Sat 6am-9am; The Road, immediately following Green Bay Packer Games on Sunday nights. West Bend’s WMBZ might be a secondary competitor, as its signal reaches much of Fond du Lac Co. (including Waupun and the immediate FdL area). There’s also some overlap with WMIL. The Milwaukee stations don’t do too bad going that direction.